. 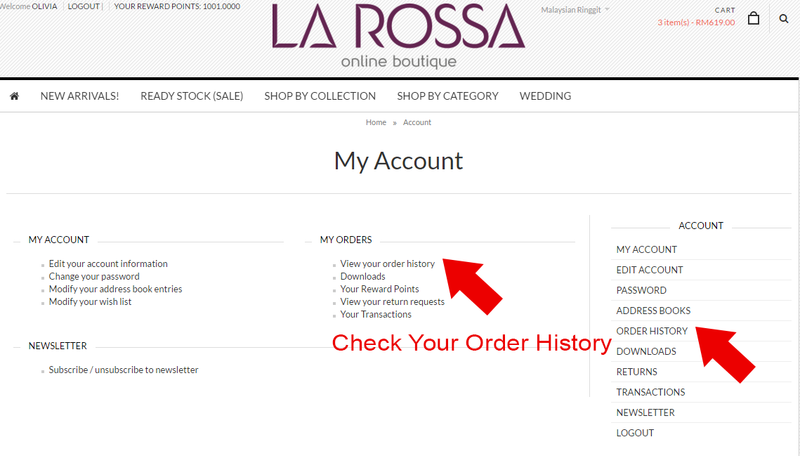 Please "REGISTER" a NEW account before you proceed for that you can track all your parcel and information in the future. 2. Fill in the information and particulars and CONTINUE. 3. 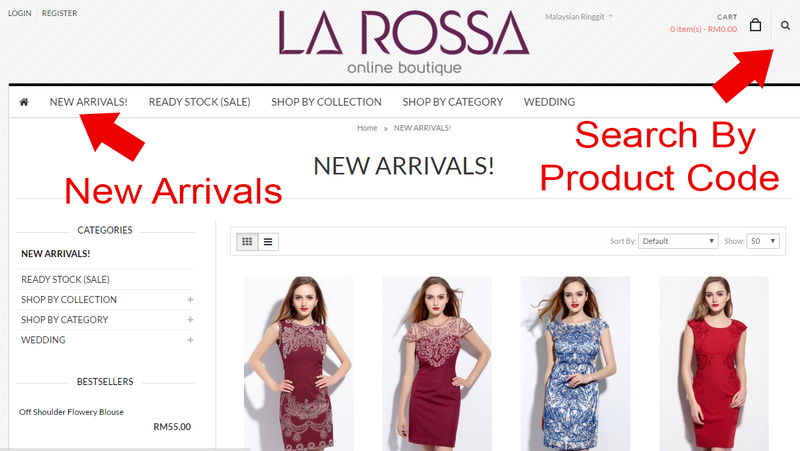 Time for SHOPPING , you can SEARCH the product code or click "NEW ARRIVALS" for all newly upload products. 4. 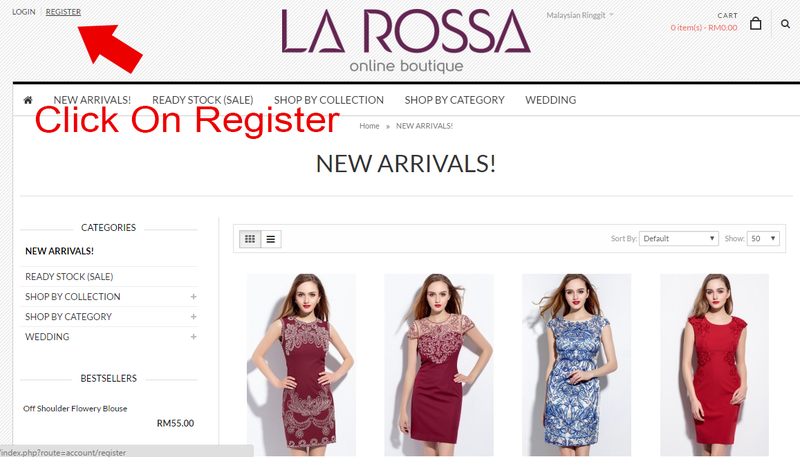 Please select the COLOR and SIZE accordingly and click "ADD TO CART". Kindly refer to the measurement given in the information. 5. 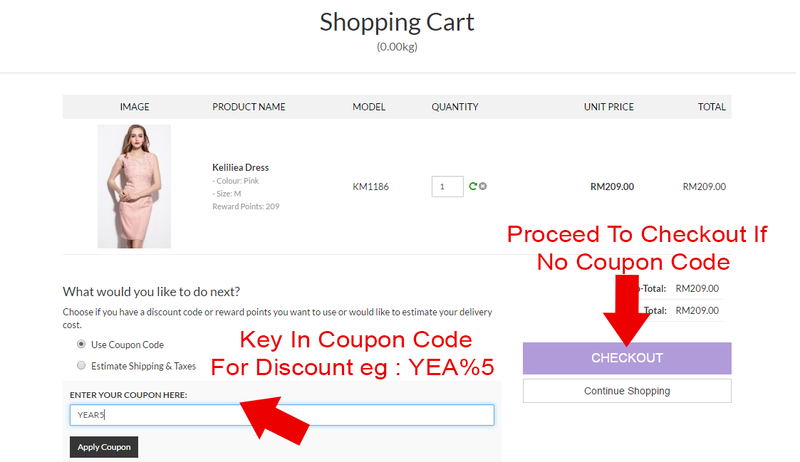 After select the items, click the SHOPPING CART at RIGHT hand top with VIEW CART (If your have reward points or discount code) or you can just click CHECKOUT. 6. Kindly check on all item size and color. If u have any discount coupon code, u can click the USE COUPON CODE and key in the code. If there is no discount code, you can proceed to the continue shopping or CHECKOUT if it is the final order. Estimated shipping/taxes: You can check for how much the shipping cost for your order depends on the location. For more details, please check in the delivery method. After KEY IN, system will generate a NEW total with discount, and click CHECKOUT. Every RM 1 spend will entitled for 1 points. Every 1000 points collected can redeem RM50 and will be auto deduct at the total bill. You may also check your total points collected as well. 9. 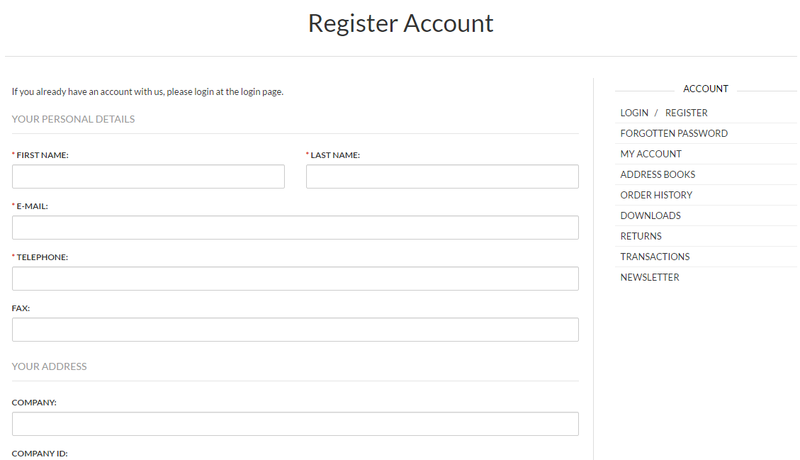 CHECKOUT step, please REGISTER as new member or LOG IN your existing username and password. 10. STEP 4 is delivery method. To entitle the FREE SHIPPING with condition for any above RM 100.00. Click the FREE SHIPPING option and the postage will be waived. 11. 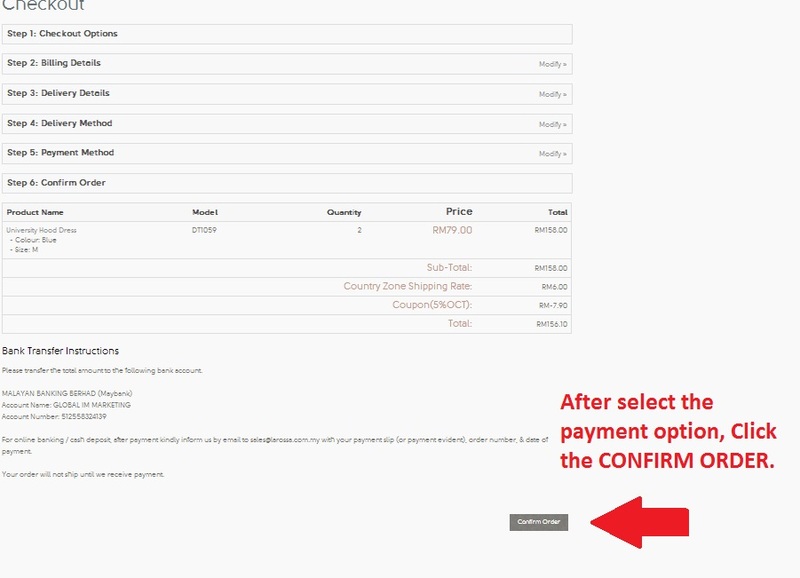 STEP 5 is PAYMENT method. For manual bank transfer or cash deposit option, please choose the option 1 Bank Transfer. 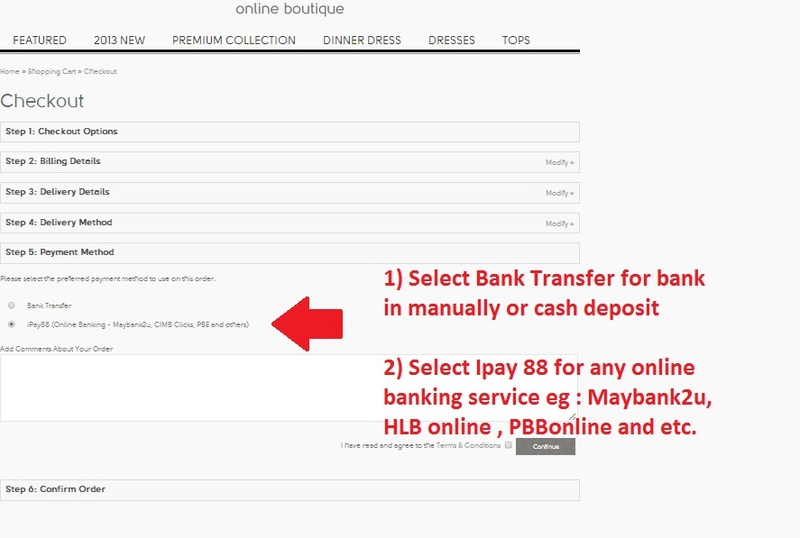 ONLINE banking is applicable, please click option 2, IPAY88 and it will link you to your online banking gateway eg: Maybank2u, Hong Leong online, PBB online and etc. 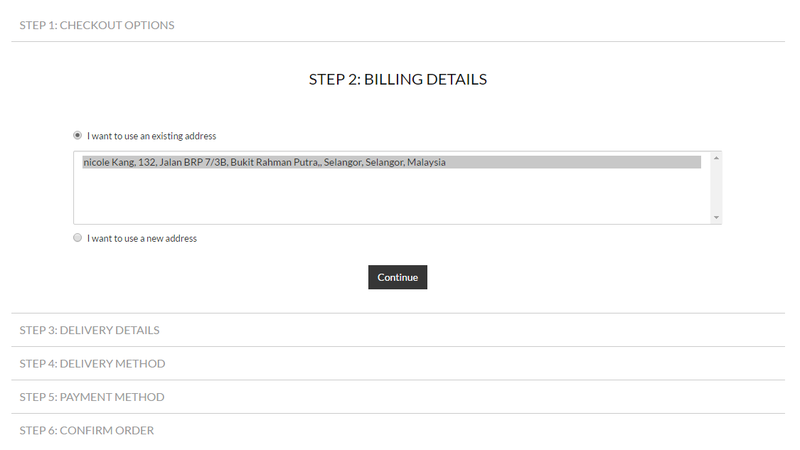 12) LAST STEP , after the payment selection, please CLICK the CONFIRM ORDER. And the order will be submitted. 13. Congratulation! Your order had been submitted to us. the order histoy and manage your personal details.